Went with Blue Apron with our dinner for the little one tonight. 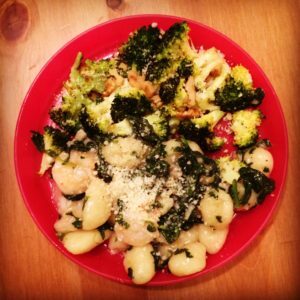 Pesto gnocchi with shrimp and roasted broccoli. The gnocchi was the star as far as the kid was concerned.